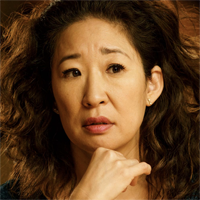 The Sandra Oh-starring spy drama was already a hit airing its first season on BBC America, a niche network. AMC Networks, which owns both AMC and BBC America, hopes to expand that audience by also airing it on the cable network of The Walking Dead. Starting April 7, Killing Eve will be shown simultaneously on AMC and BBC America. “It’s a great opportunity to expose more people to ‘Killing Eve," says AMC Networks chief operating officer Ed Carroll. “These times demand trying some nonconventional methods. And if you have a platform as big and broad as AMC, then it seems like a good thing to try.” As Stephen Battaglio notes, "the unusual attempt to elevate Killing Eve from a niche network favorite to a mass audience hit comes at critical time for AMC and other cable networks that are having to work harder than ever to get viewers’ attention amid a tsunami of programming choices. While launching a hit the magnitude of The Walking Dead may no longer be possible in today’s more fragmented TV market, AMC believes Killing Eve has the potential to become a more potent asset."